Florida Foreclosures Go Up In Over A Year | The Law Office of Emil Fleysher, P.A. Florida Foreclosures Go Up In Over A Year | The Law Office of Emil Fleysher, P.A. 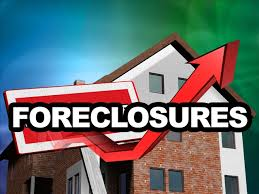 Due to the new “fast track” law, foreclosures in Florida are increasing. Brand new foreclosure filings have gone up 24 percent in comparison to the beginning of the year. This increase is the first annual one since the beginning of 2013 and it is believed that this is part of the foreseen tsunami of homes that will be taken away. There were 6,468 foreclosures in August; a 74 percent boost from July reported RealtyTrac, a company that records foreclosures throughout the country. For the post 11 months, Florida has had the number one spot nationwide for the highest foreclosure cases. Foreclosure attorneys alongside RealtyTrac contest as to the cause of the expansion of new filings but they coincide that it is most likely a mixture of lenders meeting the new law placed in 2013 where they must provide certain documentation to “fast track” the foreclosure process, a confidence boost by the banks because of the quicker court system in foreclosure cases, and the ending of the federal tax break for short sales. Regardless of the state increase report provided by RealtyTrac, there was a 17 percent decline in Palm Beach County with only 480 new filings in August 2014 compared to the same time last year reported the Palm Beach County Clerk’s office. There were 55,000 homes countrywide that began the foreclosure process last month, which is a 12 percent increase from July but equal to this time last year. RealtyTrac associates affiliate the escalation of new cases to the new foreclosure law that began July 1, 2013. The “fast track” law provides lenders a quicker way to foreclose by requiring them to provide certain documentation the moment they file the case which includes the original note and proof that they are the proper party to file a case against the borrower. The lender must file affidavits under penalty of perjury if the note cannot be found and to corroborate the authenticity of the foreclosure. New filings fell a tremendous 43 percent in August 2013 when the law had only been in place for one month and has remained low. It is believed that due to the requirement for Banks to file affidavits for lost notes, the foreclosures have slowed down; however, it is expected for new filings to increase now that servicers are more acquainted with the requirements of the new law. One in every 532 homes in Maryland has a foreclosure filing, one in every 524 homes in Nevada, but Florida has one in every 400 homes with a foreclosure filing coming in first place nationally. A South Florida foreclosure defense attorney states that this is the second wave of foreclosure which he has foreseen. However, he believes that the majority of the new filings are directly connected to the termination of the Mortgage Debt Relief Act in which the borrowers would be allowed to exempt pardoned mortgage debt from being considered income, causing homeowner to let their property go to foreclosure instead of doing a short sale.